Our company is your number one source for professional service. We surpass the competition, in not only price but value. 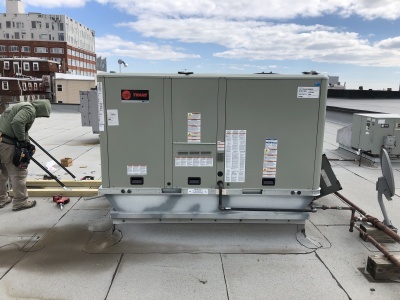 We have been operating for over 30 years in New Jersey and have established ourselves as a leader in the commercial refrigeration and climate control field. We look forward to a bright future for us and our loyal following of satisfied customers. All estimates are completely free with no obligation. Newark, NJ - 72 Unit Air Conditioning install with furnaces and exhaust fans.